As it is every year, 2010 gave the movie industry another talented screen actress – Paige Spara. From being a late bloomer, the actress has grown to become an established actress with impressive acting credits to show for her hard work. The beautiful thespian is known primarily for starring in the American sitcom, Kevin from Work which ran from 12th August to October 7, 2015, ABC Family and for appearing in American singer Lauv’s music video, I Like Me Better in the year 2017. You will get to know about the actress’s biography, body measurements, family, and boyfriend in the paragraphs below. The middle child of Kim Spara and Kevin, Paige was born in Washington, Pennsylvania, in the United States, on 8th August 1989. The actress holds American citizenship but there are zero specifics about her ethnicity. She is a graduate of Washington High School, from where she graduated in 2008, and Park University, Pittsburgh, where she spent two years studying acting. Upon graduating from Park, Paige transferred to Marymount Manhattan College and majored in Theater Performance. She obtained a degree from the institution in 2012. Like most of her contemporaries, Spara launched her acting in her early teens, precisely at the age of 12. She started out as a member of the Kids’ Theater Works, from there, she joined Irondale Theater in New York City and the Pittsburgh Community Theater to hone her craft. During her high school and university days, she was actively involved in drama. Right before the actress bagged her first on-screen role, she worked in New York City as a guide for a Gossip Girl bus tour. She was also filmed as a greeter and her image was displayed as a hologram, welcoming travellers and visitors to the Dulles-based airport, Washington Dulles International Airport, Dulles, Virginia. Between the year 2010 when she debuted and 2015 when she won her breakout role, Paige only appeared in a slew of projects, including After The Hurricane. She eventually experienced a breakthrough in her career after she auditioned and won the role of the main character Audrey Piatigorsk in Kevin from Work, starring in 10 episodes of the sitcom before it was cancelled. This was after she relocated to Los Angeles to hunt for movie roles. Since 2017, the American actress has been portraying the fictional character, Lea Dilallo, in the American medical drama television series, The Good Doctor, based on the 2013 award-winning South Korean series, The Good Doctor. In addition to acting, she has completed other projects that have put her on a path to financial success. Paige has appeared in commercials for brands like Volkswagen Golf, Sally Hansen nails, and Forevermark Jewelry. Recently, she is said to have been working on a podcast captioned The Inbetween. The actress’s immediate family is made up of her parents and two siblings. Her father is a dentist and her mother is a hair salon owner. The two raised Paige along with her siblings – a younger brother called Jesse Spara and an older sister called Taylor Spara. The siblings were all brought up in Washington. Further information about her family background is missing on the map at the moment. However, it does appear she has supportive parents and siblings who inspire her the more to work harder in the industry. Boyfriend – Is She Dating? When it comes to her personal life, Spara rarely talks about what her life looks like behind the camera. Though she has dated several guys onscreen, it is difficult to tell if she is in a relationship with someone in real life. Whenever she comes online on her social media pages, she basically keeps her fans up to date with information about her job and life-related activities. Also, she sometimes shares posts that indicate that she is in love with someone but the screen actress hasn’t really opened up about her love life. 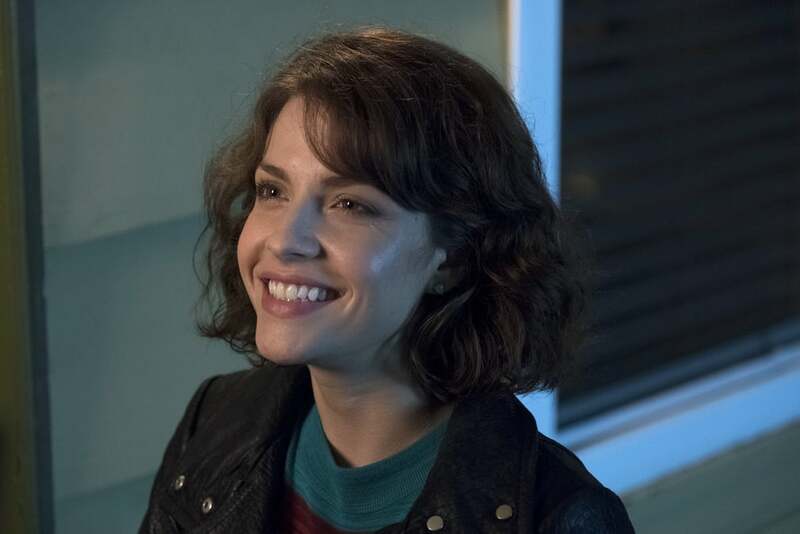 Paige Spara isn’t married, as of 2018, neither has she given birth to children. See Also: Sophie Cookson Age, Height, Dating, Boyfriend, Is She Gay or Lesbian? There is no doubt the Kevin from Work actress has a huge reputation in the industry but when it comes to height, she stands below a lot of actresses in Hollywood. Regardless of her height of 1.57 meters (5 feet 1 ¾ inch), she still commands respect and attention – many thanks to her acting skills which apparently overshadows her petite stature on the screen.